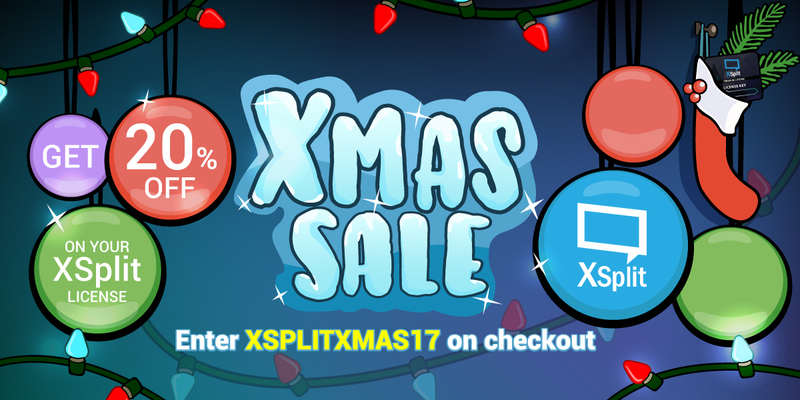 You can click the image above or enter “XSplitXmas17” on checkout to avail the discount. This offer starts at the time of this writing until December 31 2017. No better time than the holidays to treat yourself. As always, this offer is available to anyone, so share the joy of Christmas and tell your friends. But, most importantly, remember to enjoy the holidays with close ones!